PUEBLO – The Teacher Education Program at Colorado State University-Pueblo is partnering with the Modern Woodmen of America (MWA) with hopes of improving the health and well-being of children in Southern Colorado by getting a jump rope in the hands of every child in grades one through five. The Teacher Education program is coordinating the distribution effort as a service to partner schools in order to build even more cohesive relationships and to promote a healthy lifestyle for students. 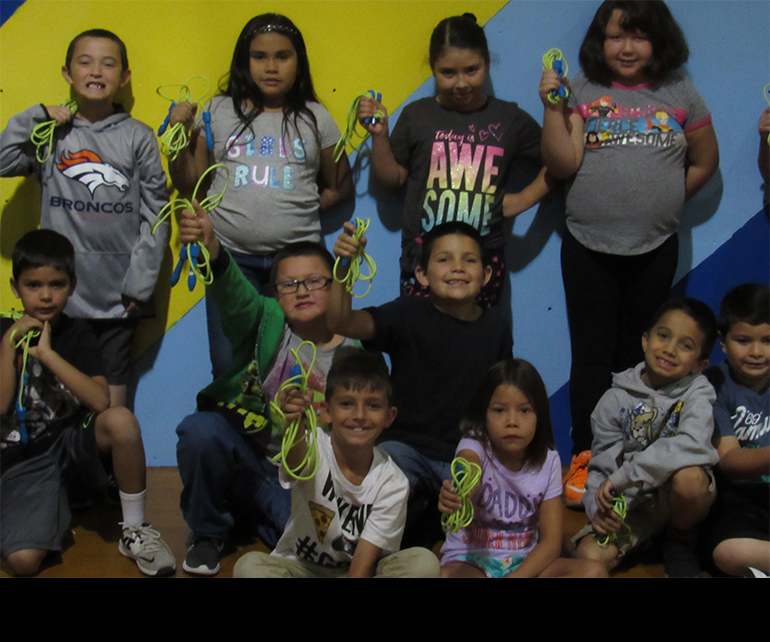 Jeremiah Blaha, student teaching and field experience coordinator in the Teacher Education Program, is teaming up with MWA financial adviser Kallene West to gift a jump rope to every child in Southern Colorado through MWA’s youth educational programs. Blaha said West has the ability to distribute a variety of curriculums to schools across Colorado, including those that focus on ecology awareness, exercise and nutrition, financial literacy, and civics/patriotism. The first batch of more than 1500 jump ropes that already have been ordered were delivered to second graders in Ms. Crowders physical education class at South Park Elementary this week. “It’s a feel good story about the university helping connect schools and the community,” Blaha said. Interested educators must complete a Youth Educational Program Order Form available from Kallene West at kallene.m.west@mwarep.org, including how many students are in your school or classroom. Delivery of the jump ropes should take from 3-4 weeks.